2011 was the first year that Jamaica formally participated in Earth Hour, a global movement that highlights damage to the environment by calling on people to turn off all lights at 8.30pm. Nakeeta Nembhard reports. In recent times, the campaign against climate change has gained significant momentum with initiatives staged to raise awareness about this issue of global concern. One of the key initiatives to take place each year which has increased in popularity is Earth Hour. Jamaica participated in Earth Hour, at least officially, for the first time this year. The Earth Hour Jamaica team, spearheaded by a small group of environmentally conscious advocates, raised awareness for the activity through the use of social media platforms – Facebook and Twitter. As the final decision to proceed with the initiative came just three months shy of the scheduled date, the manager for the country’s participation in Earth Hour 2011, Gavin Gunter, noted, “Without social media it would have been next to impossible to promote the event”. Earth Hour Jamaica attracted, as at March 27 (the day of Earth Hour 2011) was, 213 fans for Facebook and 640 followers for Twitter. This was supplemented by further online support from web-based green lifestyle magazine ECCO Magazine (www.eccomagazine.com). The initiative also gained support from the mayor of one of Jamaica’s major towns, Lucea, the Ministry of Energy and Mining, the Geological Society of Jamaica and the Jamaica Environment Trust (JET), a non-profit, non-governmental organization whose mandate is environmental awareness and advocacy. Major corporate entities endorsed and participated in the initiative, among them Half Moon Resort, Grand Palladium Jamaica Resort, the Ritz Carlton & Spa and Digicel. The initiative also received coverage from two of the country’s major newspapers, the Jamaica Observer and the Jamaica Gleaner through its Hospitality Jamaica publication. Currently, the team maintains visibility in promoting environmentally responsible behaviour through its Facebook and Twitter pages, along with continued engagement of the partners enlisted for Earth Hour 2011. “It is essential that we revisit our consumption patterns and realize that even small changes can positively contribute to the environment’s well-being,” Gunter notes. He added that, the intention is for Jamaica’s participation in Earth Hour for the first time will signal a culture shift and mark the thrust toward a more environmentally conscious populace which is in-keeping with the recently added tagline of Earth Hour – “Go beyond the Hour”. 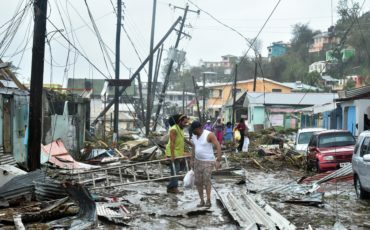 Gunter noted that, “The effects of climate change are real and affect small island developing states on a wide scale”. It is with this in mind that the efforts of the Earth Hour Jamaica team and its partners, in raising awareness and promoting a change in attitude, are being highlighted as they will undoubtedly play a significant role in ensuring that concerns about environmental awareness remain at the fore as a critical component of Jamaica’s development.